María* has always thought of herself as a weak woman who has difficulty coping with hardships. However, one could easily argue that she is much braver than she herself believes given the almost unimaginable personal tragedy that she has courageously faced in recent years. María, who comes from a small coastal community in Guatemala, traveled to Mexico to give a presentation at Mexico’s branch of the Permanent People’s Tribunal, which examines human rights violations. During that visit she contacted the Justice Foundation, an organization that works with the families of migrants from Honduras, El Salvador, Guatemala, and Mexico who died or disappeared while attempting to reach the United States. Some of its activities are coordinated with the Anthropological Forensic Team of Argentina (known by its Spanish acronym of EAAF) to help identify the remains of these migrants. During an interview with members of the Justice Foundation, María described the harrowing story of how she had lost her husband, daughter, son, niece, and brother-in-law during a 2010 massacre of migrants in the town of San Fernando in the northern Mexican state of Tamaulipas. In all, 72 migrants were killed—because they refused to work for a local drug cartel, according to authorities investigating the case. A second similar massacre took place in the same town in 2011, after which the remains of 193 individuals were found in 47 hidden burial sites. And a third was discovered in May 2012, when 49 human torsos were placed in a public street in the nearby town of Cadereyta Jinenez in the state of Nuevo Leon. 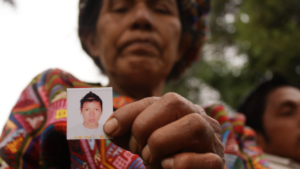 In 2013, at María’s invitation, Justice Foundation representatives traveled to Guatemala to meet other women who had lost husbands and children in the same massacre in which María’s family members had been killed. They described first the torture of not knowing what had happened to their loved ones, followed by the trauma of receiving their remains, and finally the heartbreak of feeling abandoned by their own government. The women complained that an event where the Guatemalan authorities turned over the remains of their murdered family members felt more like an opportunity for the government to promote itself than a solemn occasion for mourning the tragic loss of those who had tried to escape their country’s dire economic conditions. Some also recalled feeling offended that they were given medals and other awards; “It was almost like they were celebrating something,” they said. And afterwards, the authorities sent the women home—never to speak with them again. Adding to the pain of losing relatives in such a brutal manner, the family members received no documentation verifying that scientific procedures had been used to identify the bodies. Some could not see the remains after authorities incorrectly asserted that viewing them was illegal because they could in some way suffer contamination. But even those allowed to view them were forced to see remains that were in an advanced state of decomposition, making them impossible to recognize. In other cases, some families received remains that had been cremated without their consent. 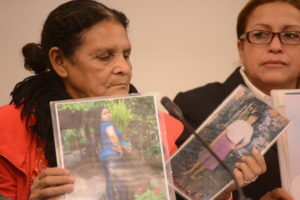 Sofía*, a wife of one of the victims of the massacre, says that her economic situation quickly became desperate following her husband’s death. As challenging as it had been for both her and her husband to support their two daughters, it was much more difficult for her to raise them alone. Unable to obtain financial assistance from her local government, and functionally illiterate, she was forced to work lengthy shifts at a plantation while her children were cared for by their grandfather. One of her daughters began to feel that she had been abandoned twice: first, by her slain father, and then, by her mother, whose long absences affected the girl so seriously that she began to suffer psychosomatic pain. Exhausted from relentless hours of work—including selling used clothes on the side for extra cash—yet still unable to make enough money to afford regular meals, Sofía was on the brink of collapse. And after living in constant fear for both her own and her daughters’ safety following her husband’s murder, she and her daughters finally fled Guatemala without any documents, and are now seeking asylum in the United States. Some family members who make the journey from Central America to Mexico to search for their disappeared loved ones do so in so-called “caravans”—groups who each year walk through Mexican’s towns looking for missing relatives—that were first organized in the early 2000s. 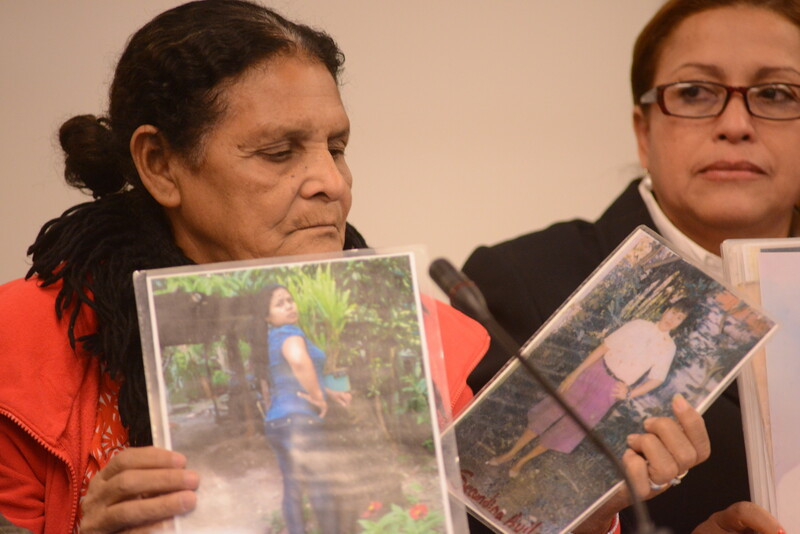 Doña Edita and Doña Rosa Nelly, who participated in the first caravans, founded the Committee of Families of Disappeared Migrants from El Progreso Honduras, or COFAMIPRO, dedicated to helping other families in their search for more than 400 disappeared migrants. The group’s radio program, “Opening Borders,” which airs each Sunday, tells the stories of migrants and invites families to organize to look for their lost relatives. 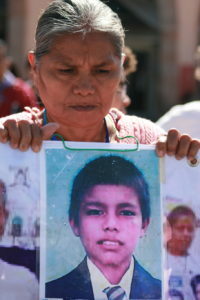 Anita, a Salvadoran woman whose son disappeared 14 years ago in Mexico, decided to give up her job as a saleswoman and dedicate her life to searching for her son and the nearly 350 disappeared migrants documented by the association that she runs, the Committee of Family Members of Deceased and Disappeared Migrants from El Salvador, or COFAMIDE. She speaks with a calm but firm voice about the loss that she must live with every day—as painfully fresh in her memory as the day that it happened. “It’s an open wound that doesn’t heal. But we have to do all we can to find them,” she says. Seeing the work done by these brave women, the Justice Foundation decided in 2012 to form a regional network including representatives from Mexico, Honduras, Guatemala, and El Salvador. This model was based on the transnational example of the EAAF, which, along with the participation of committees such as COFAMIPRO and government authorities in Honduras and El Salvador, created a Forensic Information Database. 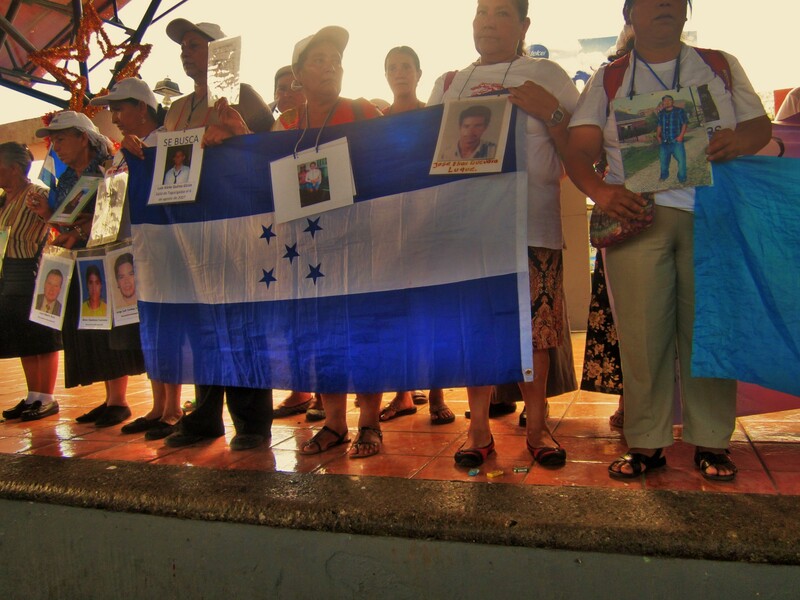 Through this system, information gathered from families of disappeared loved ones can be compiled and cross-checked with data about the unidentified remains of individuals in other countries. The information contained in the database is being used to help identify those massacred in 2010, 2011, and 2012. The processes of notifying and transferring the remains to their families were made in accordance with international standards, thanks to the Agreement for the Identification of Unidentified Migrant Remains that was signed by Mexico’s Federal Prosecutor’s Office, ten organizations and committees of families of missing migrants, and the EAAF. This agreement was one of the first transnational public policies created in the region to address this issue. Together with groups such as COFAMIPRO and COFAMIDE, the Justice Foundation promotes what it calls a “transnational approach to access to justice.” This idea became a reality, at least on paper, in December 2015, when the Mexican government enacted legislation allowing residents of other countries to file requests to search for disappeared family members, or to ask Mexican authorities to initiate criminal investigations when crimes have occurred against migrants in Mexico. They can make these requests either through their home country embassies in Mexico or to Mexican embassies located in their home countries. The work has just begun. Mexico, with its weak and corrupt legal institutions, has been facing its own crisis for the last 10 years: nearly 28,000 people have disappeared, with unidentified remains and burial sites across the country. Providing an effective response to the families, and guaranteeing all of the rights to which the victims are entitled, will be an ongoing challenge. * Some names have been changed to protect their identities.